The perfect protector for Burglar Alarms, cash registers, CCTV and Computers. 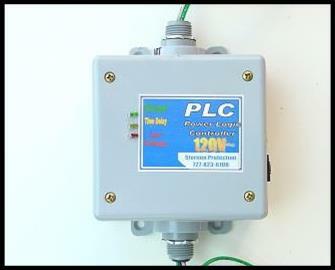 The most intelligent single out let surge suppression and power monitor in the world. 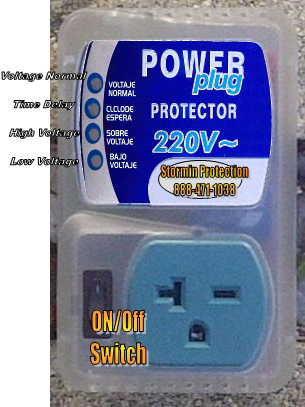 You now have complete control exactly where you want the voltage to be shut off automatically. If the voltage drops, the current rises and the fuse inside the transformer will burn out. This Power Guard will eliminate that problem 100%. In a commercial, or industrial environment it is absolutely perfect. This product is so cost effective enough that you can install it on all equipment. Excellent for refrigeration protection. For UPS’s it is the perfect tool to deal with Back up Generators on startup. For PLC’s and data boosters, solves inductive loads issues in machine shops. 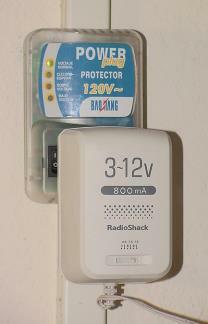 For All security systems with electrical plugs or 40 watt power supplies. Handles heavy transformers very nicely. Nice see through package. Know what you are buying. 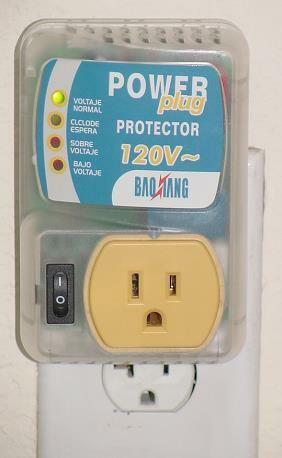 The most intelligent single outlet surge suppressor and power monitor in the world. 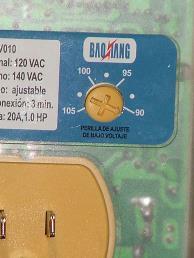 You now have complete control exactly where you want the voltage to be shut off automatically. If the voltage drops, the current rises and the fuse inside the HVAC or industrial equipment will burn out. This Power Guard will eliminate that problem 100%. In a Hospitality, Commercial, or Industrial environment it is absolutely perfect. 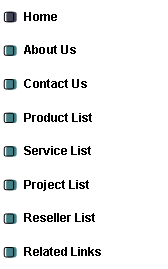 This product is so cost effective that you can install it on all equipment. For HVAC Window Shakers it is the perfect tool to deal with Back up Generators on startup. 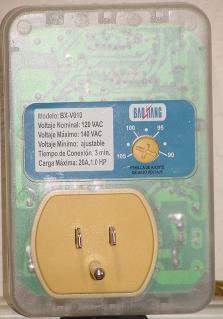 Information on the label can be in English or Spanish. This Unique Product is designed to provide superior intelligent power protection & noise reduction for Branch Circuits, Fire Alarms, PLC, NC/CNC, Controls, Scales, Card Access, Gate Access, Telemetry, (2)units in a 120/120 240 single phase application for PLC or Computer related PC board power supply drawing no more the 20 amps per line. This unit will eliminate a high degree of noise coming in the AC power, caused by HVAC, Pumps, Motors and other noisy equipment that can cause false alarms especially on Fire Alarm panels, or harmful effects affecting the performance of the PC board. Comparison technology: None like it on the Planet. What makes this more then any parallel surge suppression now available? 1. This unit has a intelligent brain which makes this a programmable logical controller. It monitors the power, if the voltage drops and the current rises as if a back up Generator comes on, it has a built in electronic logic switch that switches off the power ((((Monitors the power))) then allow the power through only when the logic chip sees that the power is stable. There is a 3.5 min time delay. 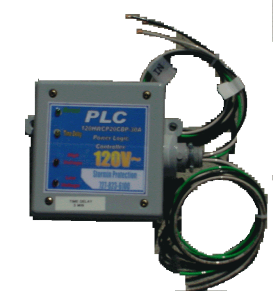 Ideal for Fire Alarm or PLC’s that have a battery installed. 2. There is a Circuit breaker on the load side, for life safety or extreme current. 3. All UL listed surge suppression are parallel, this is not a parallel device, this is an in-line series Hybrid Power Controler with three stage surge suppression w/EMI/RFI filtration and a 20 amp circuit breaker. You now control the power! 4. This technology is ahead of its time. This unit will isolate a feed back loop up cased ground from the conduit. This unit will provide an impedance path way on the life safety ground wire entering the equipment and ground is no longer bi-directional. This unit is hermitically sealed and can be installed outside anywhere on the conduit pigtailed in a junction box or outside equipment directly applied to the power supply. 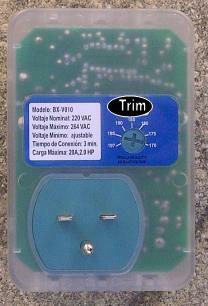 This unit can deal with voltage drops and a current rise that smokes switch mode power supplies. This unit is extremely durable and has enough heat sink to test well beyond 10,000 volts @ 3000 amps impulse Cat. C3. This unit your Engineer will want to test. This unit is at least 10 years a-head of it’s time for SMT technology.